One Momma Saving Money: Personalized "First Day of School" Chalkboard - Was $32.99 - Ships for $13.98! 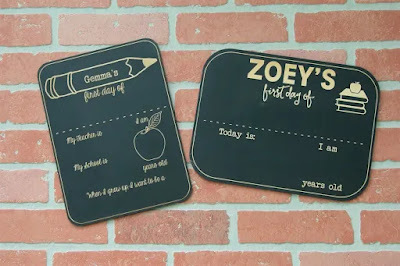 Personalized "First Day of School" Chalkboard - Was $32.99 - Ships for $13.98! Shipping: $3.99 for the first item and $0.90 for each additional item. US only. Estimated to ship by Sunday, Apr 21.